Good news if you have been waiting to get your hands on Olympus’s new micro four thirds camera, the Olympus PEN E-PL1, as it is now available to pre-order for $599.99. The Olympus PEN E-PL1 is quite a bit cheaper than the other models in the PEN range, and it features the same sensor as the other micro four thirds cameras in the PEN range. 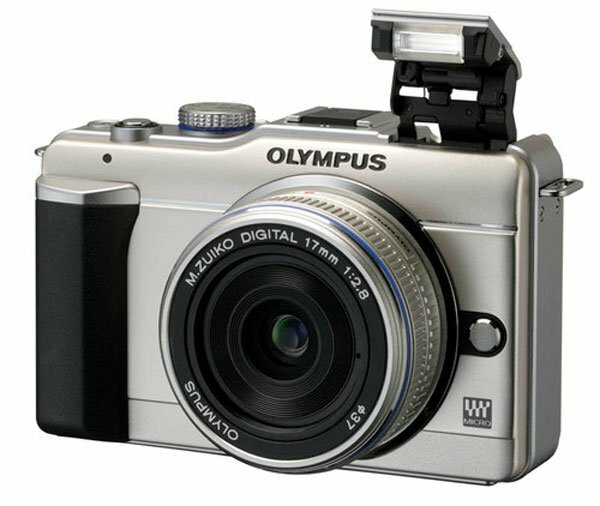 The Olympus PEN E-PL1 features a 12.3 megapixel Live MOS sensor, an ISO range of ISO 100 – ISO 3,200, it also comes with a built in flash. It comes bundled with a 14-42mm lens which is equivalent to 28-84mm, and there will also be two other lenses available for the Olympus PEN E-PL1, a superwide 9-18mm, which is equivalent to 18-36mm at 35mm and a 14-150mm lens, which is equivalent to 28-300m at 35mm. If you want one, the Olympus PEN E-PL1 is now available to pre-order from Amazon for $599.99.